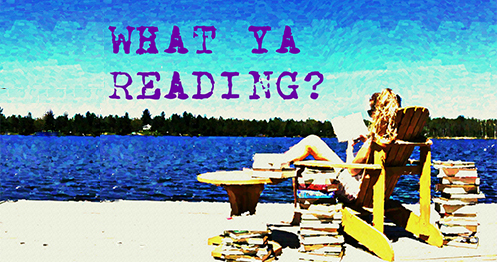 Across the Universe | What YA Reading? What would you do if our planet got so down in the dumps that our political leaders were willing to send cryogenically frozen people to a supposedly habitable planet 300 years away? Would you choose to give up the sky, or the snow, or the grass for a fleeting hope that could possibly betray you? And if you did? What would happen if you bet all your cards on that one hope– only to be woken up 50 years early? If you sacrificed everything– everything— only to find not a new planet, but a metal cage, lying political leaders, and– this is the worst part– fake rain? What then? Across the Universe isn’t just a book. It’s a question. The question is: “What if?” And the answer lies only in the pages of this novel. Although the plot involves the mystery of a murder whose culprit was easily identifiable, I could not put Across the Universe down. When Beth Revis means science fiction, she means science fiction. There’s no aliens, there’s no super powers, there’s no inhumanly strong hot guys. Sure, there’s a spaceship– but this book’s science is not limited to that. Across the Universe‘s twists and turns made me gasp and think”Damn, I never would’ve thought of that.” And I’m a science geek. Godspeed’s world is beautifully painted. Each member of its society, from the Shippers to the Feeders to the Greys, fascinated me. The forced utopia of this world eliminates all causes of discord; there is no difference, because the ship is mono-ethnic. There’s a strong political leader, because Godspeed is run by the Elder/Eldest notion, which is to say that the eldest member of each generation becomes its political leader. Never mind the fact that the the current political leader only holds the generations together by lies. And what a righteous political leader Eldest is. But is he evil for lying to his people, if he believes that that is the only way to keep Godspeed peaceful? Elder, Eldest’s heir, is not rebellious at all, as the book’s description would lead you to believe. Sure, he asks questions, and sure, he finds their answers– but that’s mostly to impress Amy. I mean, he’s a great guy– he’s just not my favourite person. And his name is Elder. Elder. That really doesn’t help any warm, fuzzy feelings for him. Another one of my favourite characters is Harley, Elder’s best friend. Harley is an artist, he’s open-minded, and he’s sarcastic. *Sigh* That is such a great combination. Across the Universe has a split point of view, switching between chapters from Amy’s and Elder’s perspective. Despite the fact that this is a difficult task for an author, Revis accomplishes it masterfully. Even those of you who do not typically appreciate split points of view will agree that it is beautiful and necessary. As I mentioned before, the mysterious murderer wasn’t mysterious in the least. I identified his identity within the first few chapters. But this is basically this book’s only negative point. Oh, and I want to show you an exert from a chapter from Elder’s point of view. It’s the epitome of one of this book’s underlying messages. 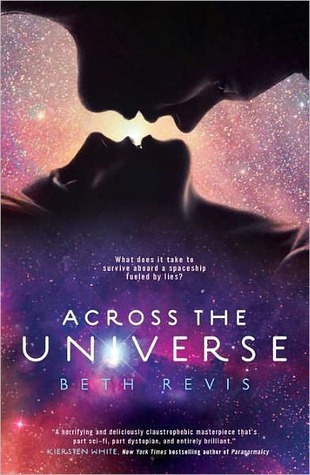 Across the Universe merits 4.8/5 stars. For fans of science-fiction, sarcastic artists, and questions. Not for fans who can’t cope with the science behind *ahem* hormones. Pingback: Top 10 Covers I’d Frame | What YA Reading?